In 1999, Cliffrose began a full-service garden center serving the Four Corners. With a huge selection of native, drought-tolerant plants, organic and natural fertilizers and products, and a wide selection of unique merchandise from locally made soaps, lotions and candles to Fair Trade gifts from around the world. 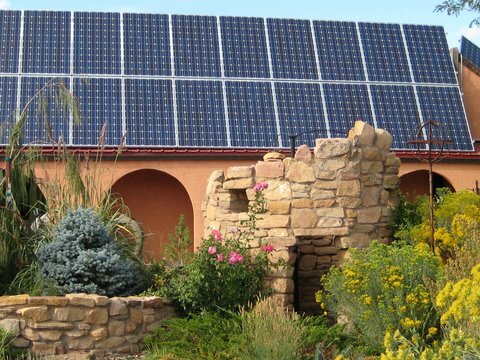 In 2011, owner Ric Plese fulfilled a decades long dream and installed a grid-tied solar array at Cliffrose. “We are making use of something that’s been running the planet for 3 billion years,” he said. “I just want to be as green as possible and it makes sense in our neck of the woods to use solar. It is clean, and in a sense I feel less guilty about belching power plants and wells. It takes away a little of my guilt on what I contribute to the planet’s demise. Located at the east edge of Cortez, Cliffrose is your full-service garden center for everything you need to create a beautiful garden, xeriscape or private getaway space at your home. Our staff of local gardeners has years of experience and various horticultural training to help you choose just the right plants for your location. Growing in the Four Corners can be challenging which makes success that much sweeter. We offer a variety of classes and workshops year-round from pruning and landscape design to wreath-making and even wine-tasting. We are proud to offer organic and natural fertilizers and soil enhancers, including Black Gold and Neptune’s Harvest. Come browse our dog-friendly gift shop and ask questions — your success is our number one priority!